Secretary of State Wayne Williams has reiterated that Colorado employs important safeguards to make sure its elections are as secure as possible. The statement comes as President Donald Trump has alleged millions of fraudulent votes were cast during the November 2016 election, and has called for an investigation. On his personal Twitter account Wednesday, the President stated "I will be asking for a major investigation into VOTER FRAUD, including those registered to vote in two states, those who are illegal and even, those registered to vote who are dead (and many for a long time). Depending on results, we will strengthen up voting procedures!" Williams stated, "In Colorado our clerks and our judges prevent the overwhelming majority of attempts to vote that are improper." He went on to state "Voter fraud is rare but it undercuts our confidence in democracy, which is why it is so critical to protect against." Williams, a Republican, and former Secretary of State Bernie Buescher, a Democrat, stressed that sentiment in an opinion piece published before the Nov. 8 election. Participates in two programs to help identify individuals who might be registered or vote in more than one state. Obtains federal and state death records to remove those voters from the rolls. Works with sheriffs and the state Department of Corrections to ensure potentially-registered felons who are serving a sentence are not allowed to vote. Uses U.S. Department of Homeland Security data to identify noncitizens. Collaborates with the U.S. Postal Service in using change-of-address records to update its registration files. Williams also pointed to data from the 2016 election involving mail ballots that were rejected because the voter did not provide ID as required or did not include a signature or the signature did not match the one on file. Voters have until eight days after an election to "cure" their ballots, taking care of the problem identified by election judges. After that period ended, 21,408 ballots were rejected - or not counted - because: 2,593 did not provide IDs; 2,606 lacked signatures; and 16,209 signatures did not match. County clerks refer signature discrepancies to their local district attorneys, but those cases do not necessarily constitute voter fraud. A voter could have decided not to take care of the problem, for example, because the election was over and his or her vote wouldn't change the outcome. "Successful voter fraud is rare but important to guard against," Williams said. "Bank robberies also are rare, but banks still employ security guards and put the money in a vault. 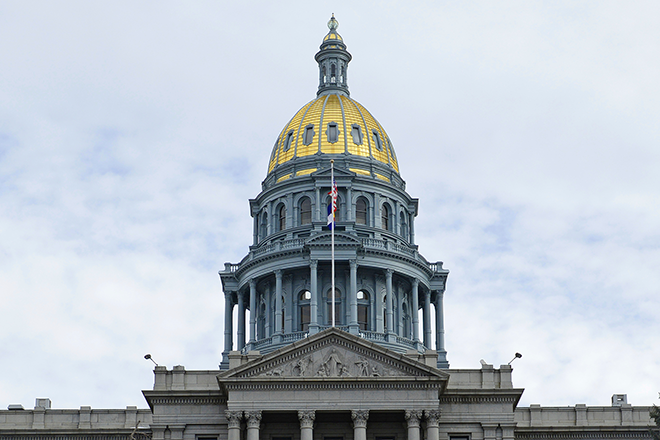 "Voters can have confidence in Colorado's election process."